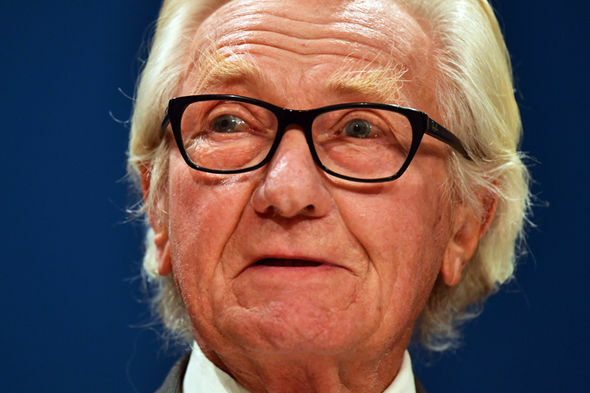 The Conservative peer said he will ignore whips’ demands to pass the Government’s Brexit Bill without change through the Lords – which would, as a result, grant Parliament the ultimate say on Brexit negotiations. This would mean Mrs May would not be able to walk away from the negotiating table in Brussels without a deal. The staunchly pro-European grandee claimed the decision to side with Labour and Lib Dem Lords when the Bill reaches Parliament’s upper house is not about “confrontation” with the Government. He claimed instead that the move aims to uphold the Supreme Court’s January ruling that MPs and Lords have the ultimate authority over triggering Article 50 – the formal process of leaving the European Union. 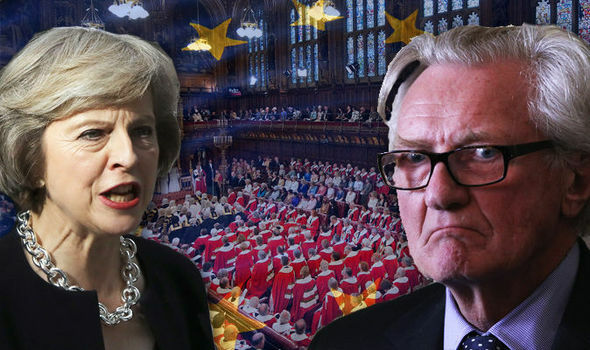 Lord Heseltine wrote in the Mail on Sunday: "In the end the outcome of Brexit will have to be confirmed by Parliament. "It will also have to pass in 27 national European parliaments, several sub-national parliaments and the European Parliament. "It was perhaps unwise for our Government to suppose that our Parliament should be excluded where all others were included. "Very sensibly, after the Supreme Court interpreted the law, that position was reversed and Parliament was restored to its rightful constitutional role as the ultimate authority. SUNDERLAND: The borough of Sunderland voted to leave the European Union by 61.3%. MIDDLESBROUGH: The borough of Middlesbrough voted to leave the European Union by 65.5%. NORTH YORKSHIRE: The borough of Middlesbrough voted to leave the European Union by 65.5%. HORDEN: The borough of County Durham voted to leave the European Union by 57.5%. HARTLEPOOL: The borough of Hartlepool voted to leave the European Union by 69.6%. SEATON CAREW: The borough of Stockton-on-Tees voted to leave the European Union by 61.7%. "I will vote in the House of Lords to ensure that position is legally intact. "This is not a confrontation with the Government which has already made such a commitment. Senior Ministers responded angrily to the move, branding Lord Heseltine and his supporters “bad losers who are trying to wreck Brexit”. Up to 20 other rebel Tories are believed to be joining Lord Heseltine's rebellion, along with Labour and Lib Dem peers. 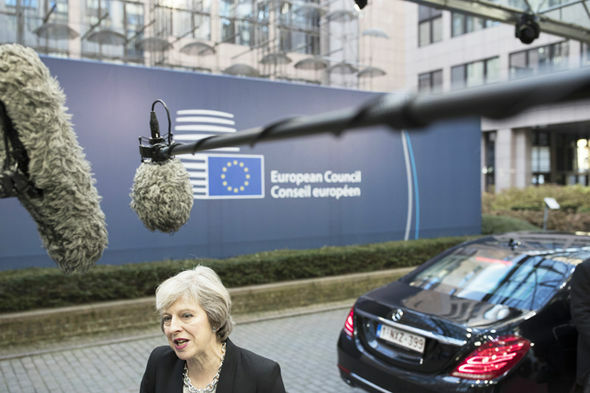 The bid to derail Britain’s split with Brussels comes as peers also look to force Mrs May to guarantee the rights of EU nationals to remain in Britain after Brexit – before talks even begin. HUMAN SYNTHESIS ! (/content/images/2017/02/_DSC0003.JPG) The original purpose of The Otium Post when it was created in Nov 2013 was to aid Norwegian Ex-pats in their retirements around the world.